The last few years while I have been directing, I managed to compile a book of notes that in every way helped me to take a step higher in my career. Most of people who are working with me gradually rate me as an effective director. They enjoyed capturing my techniques and dealing with my response to every project. My goal as a director is to take the audiences’ awareness to every place, to move their emotions in a roller coaster ride and to deliver their emotional being to different universe. 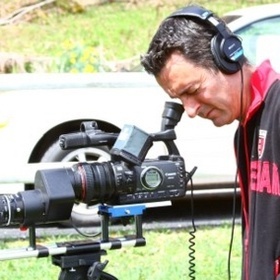 As a director, I naturally ‘move’ the scene with different hints of a combination of fear and excitement, happiness and sadness, joy and pain, naming a few. In parallel to a painter artist, I, as a director, own a unique predetermined colour pallet that will awaken audiences’ feelings and emotional response. I like the audience to watch the film and have an emotional response before anything is even said. Music also plays a huge role in my films to take viewers even deeper on the emotional journey. The flow of scenes is very important. At times, it is important for me to direct a fast moving scene for audiences, then follow with a calm scene to digest and mediate on what just happened. When I am directing and I see something magical, I like to note that moment as capturing “lighting in a bottle”. It is not a term I invented but feel it really gets to the point as to what I just witnessed. So rare and so powerful. I love rehearsal and to play around with the actors and their characters. There is something organic about rehearsing. It helps the actor to relax into the role so they can improvise accordingly and feel comfortable doing so. Peter Wier once said that acting is like a sailboat. I thank Peter for this inspiration. I’m always in search of the truth as a director. “A TICKING TIME BOMB”, is 60 minutes of information packed storytelling revealing the many difficulties of these Lyme disease victims. They must enjoy living. Hopefully they get diagnosed properly and have the correct treatments. up. This web site is one thing that is required on the internet, someone with some originality! Amazing! I’m truly enjoying the layout of your weblog. Are you using a custom made template or is this readily available to all users? If you don’t want to say the name of it out in the public, please contact me at: %EMAIL%. I’d love to get my hands on this template! Kudos. 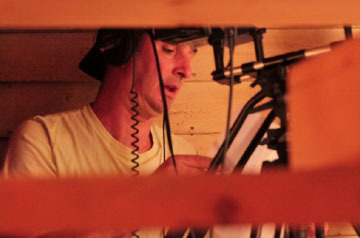 Tom Balsamides and Indiefilms mission is to provide cutting edge films that inspire and challenge the viewer. Films that make you think, evoke emotions and take you on a journey. 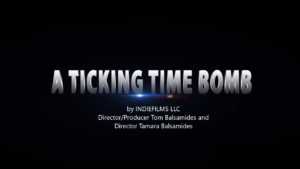 Look for our latest release A TICKING TIME BOMB!